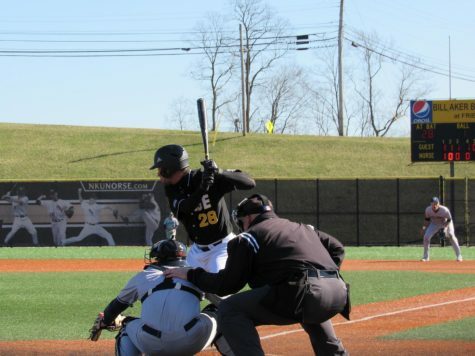 The NKU baseball team held a lead for four innings, but in the end couldn’t hold off the second ranked Louisville Cardinals. 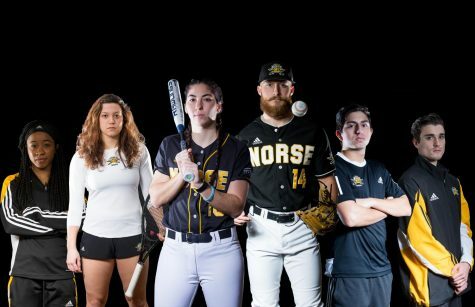 The Norse fell to the Cardinals 6-4 in Louisville Wednesday night, falling to 15-25 on the season while the Cardinals improve to 35-6. 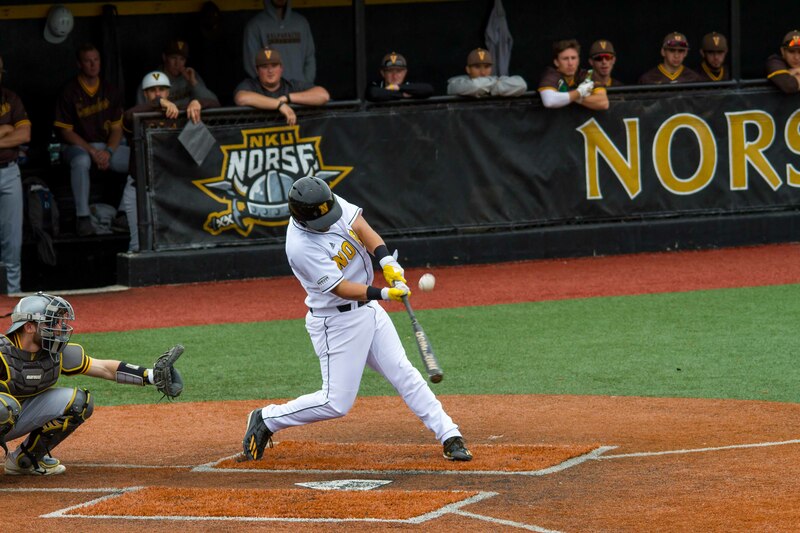 Even in a losing effort, the Norse out-hit the Cardinals 10-9. 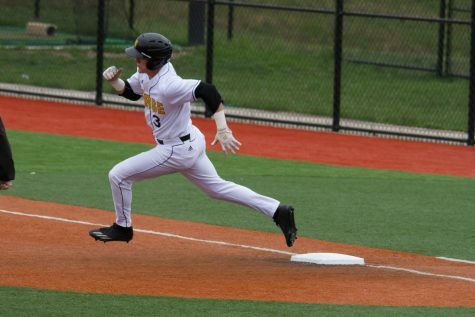 Trey Ganns went 3-4 with a run scored while Mike Moffatt and Chad Roberts went 2-4 with an RBI each. 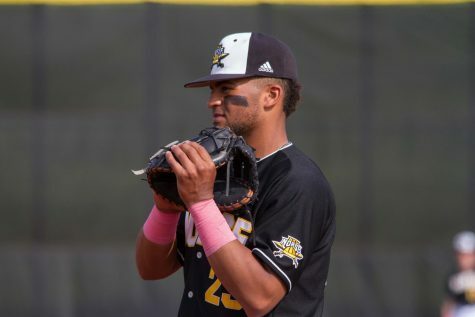 Drew Ellis went 2-4 with three RBI and two runs scored for Louisville while Zeke Pinkham went 2-4 with three RBI and a run scored. 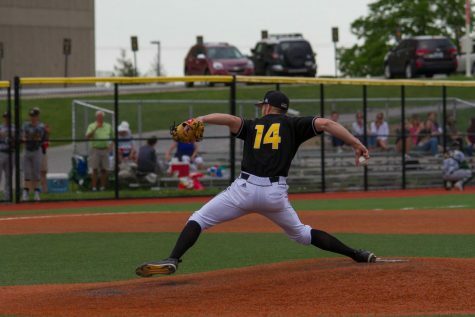 Adam Wolf would earn his sixth victory of the year for the Cardinals, throwing 2.1 innings and allowing just three hits and no runs. 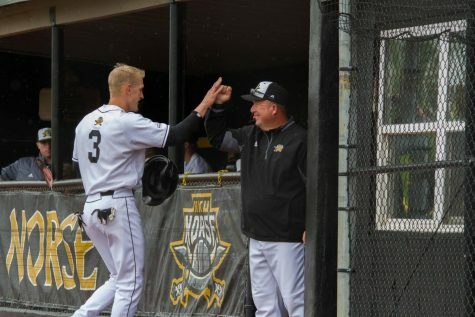 Charlie Jerger took the loss for the Norse after giving up two hits and two runs in the fifth inning. 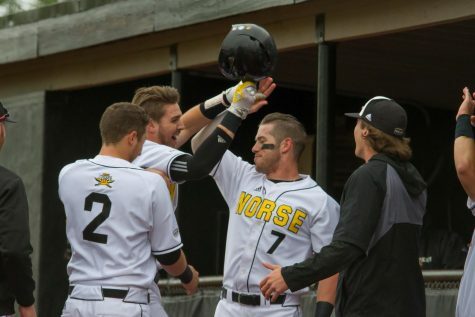 The Norse wasted no time jumping on Cardinals starting pitcher Bryan Hoeing, when TJ Alas homered in the first inning to give NKU a 1-0 lead. In the second inning, Roberts scored on a passed ball that rolled past the catcher Pinkham and effectively ending Hoeing’s day. 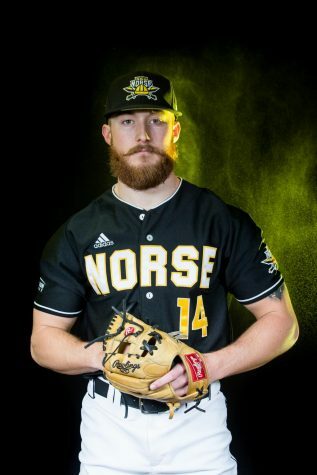 The Norse would score two more runs in the third inning off Jake Sparger thanks to an RBI double from Roberts that scored Ganns and an RBI single from Moffatt that scored Roberts to give the Norse a 4-0 lead. The Cardinals came roaring back in the fourth inning, when Ellis homered off Norse reliever Seth Rosenberg. That was quickly followed by a home run off the bat of Pinkham to cut the Norse lead to one run. Ellis struck again with a two run homer in the fifth inning off of Jerger to give the Cardinals the lead for good. Pinkham would hit an RBI single in the eighth inning to tack on an insurance run and give the Cardinals a 6-4 lead. 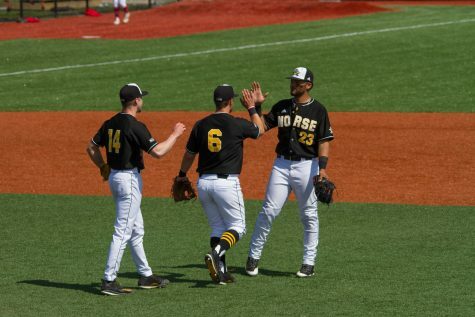 The Norse will look ahead to a three game series with Wright State, the current two seed in the Horizon League. The series will start on Friday at 3 p.m. at the Bill Aker Baseball Complex.